Senior Kale Moore in a "match" during practice. "My plan is to make it back to states this year," Moore said. "I'm going to work harder and eat cleaner, so I don't have to lose so much weight before a tournament." Boys and girls wrestling held their first practice of the season on Tuesday, November 13. The wrestlers had a lengthy off season, but prepared for the season to begin. The teams practice every school day from three to six in the afternoon, and occasionally on Saturdays. 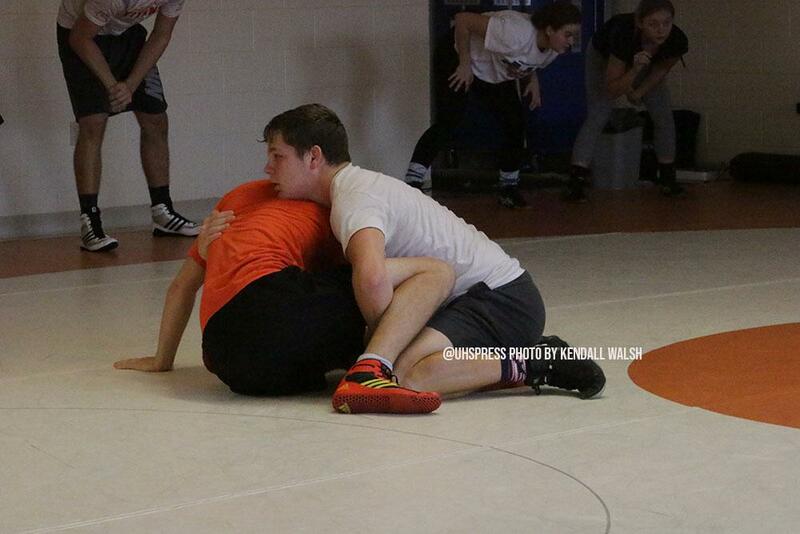 Through practices, the wrestlers use the time to push themselves to further improve on their moves. Although they are excited for the upcoming season, some seniors have mixed feelings about it being their last season.